On November 15 2016, ESPOPF members met for the last time to celebrate 20 years of lobbying and campaigning for older people in Eastleigh’s Southern Parishes and beyond. 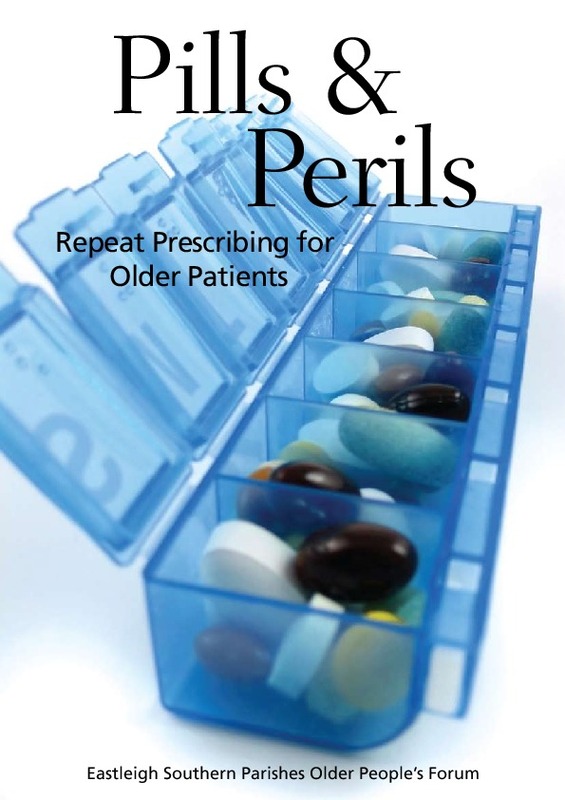 The occasion was the launch of a report of ESPOPF’s seventh and final piece of research into problems faced by older people, Alarming Conclusions - older people and emergencies. 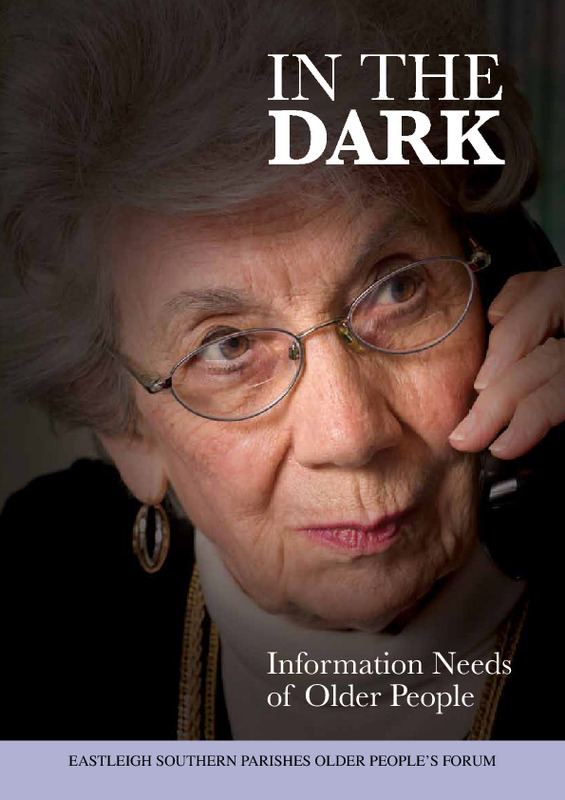 The research concluded that, since older people could confidently expect to find themselves in emergency situations, it was essential that they develop strategies to prevent them or, at the very least, to cope with them. Examples of some strategies were included. Two friends of the Forum had been invited to speak: Debbie Beale, former Engagement and Inclusion Officer of Help the Aged and Age UK, and Leela Damodaran, Professor of Participation and Digital Inclusion at Loughborough University. Both paid tribute to the amazing achievements of the Forum in raising awareness of the contribution older people could make to the development of national and international policy when their voices were heard. Both speakers emphasised the urgent need of national and local government to work with older people, promote age-friendly communities with more digital inclusion, and responsive emergency services. 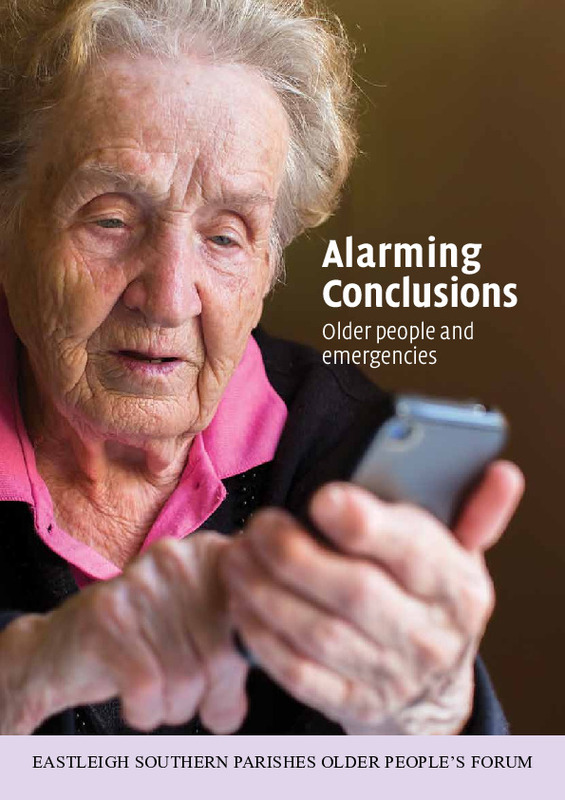 They approved the research report’s endorsement of the vital contribution mobile phones could make in emergencies if older people were encouraged to use them. After a finger-buffet lunch, members reminisced about their memories and experiences of ESPOPF, sampled birthday cake and bubbly and presented an award to Diane Andrewes, in recognition of 20 years of dedicated service as Hon. Secretary. Other long-serving members, Betty Lawrence (Hon. Treasurer) and David Andrewes (research and all-round support) were thanked for their outstanding contributions and Chair, Bernard Brombley, expressed thanks to all members for their involvement. It is hoped that a brief history of ESPOPF will be produced and published on the website during 2017. You can download the latest and last Newsletter by clicking this link. ESPOPF was an independent group of older people from Eastleigh's six southern parishes. 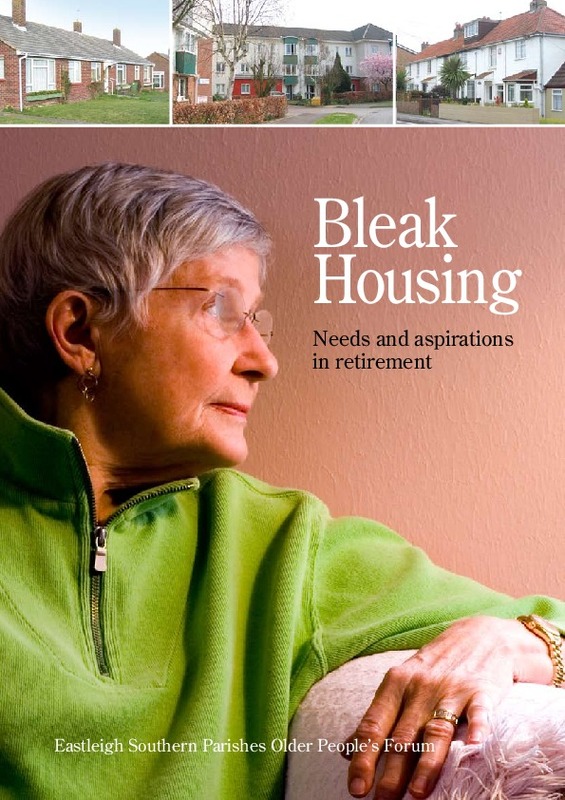 It provided a platform for the expression of older people's concerns on local and national issues. It represented those concerns to statutory authorities, voluntary organizations and the wider public. It was affiliated to the National Pensioners' Convention, Keep NHS Public and linked with many organisations working for older people. It was established in September 2000. Those aged over 55 and living in Botley, Bursledon, Hamble, Hedge End, Hound or West End, were eligible to be a member. ESPOPF supported campaigns organized by 38 degrees, the National Pensioners Convention and Keep Our NHS Public. 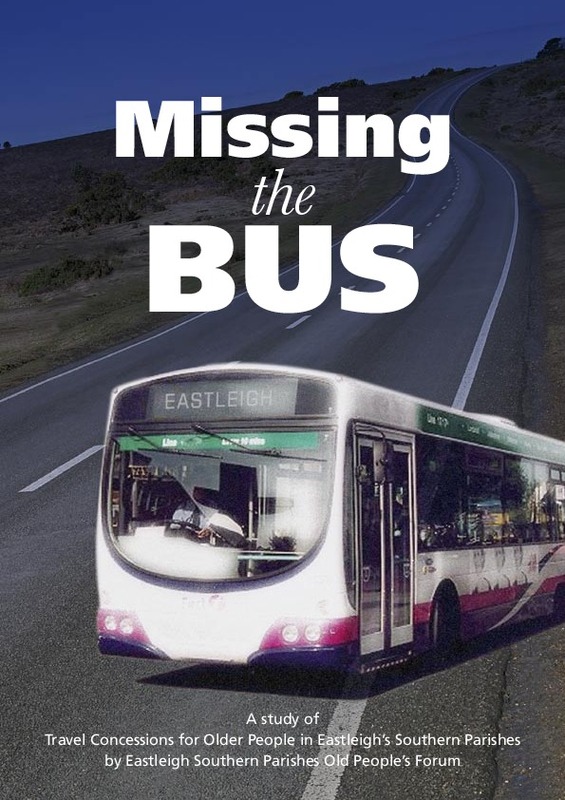 Campaigned nationally and successfully with the National Pensioners Convention and Help the Aged on the free Bus Pass and Keeping Cheques with Age UK. 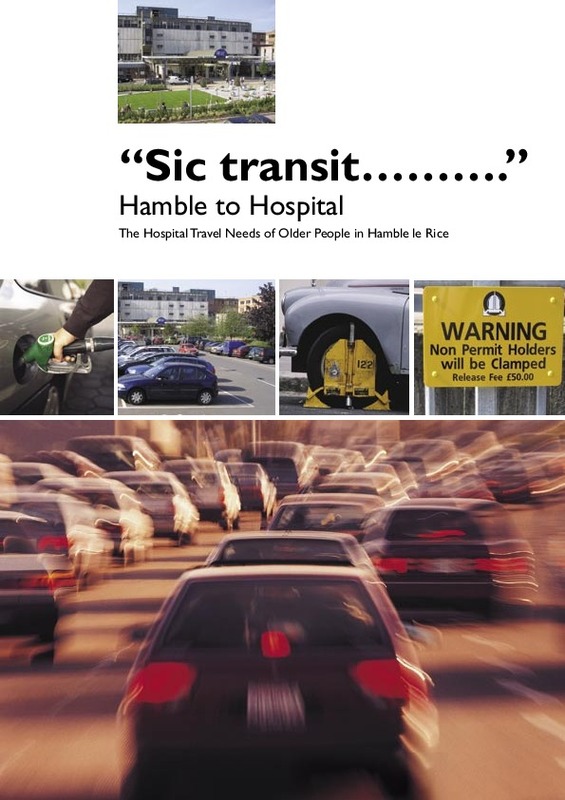 Campaigned locally on retaining travel tokens and free bus passes administered by HCC; retaining library services, especially mobile libraries; retaining free blue badge parking on HCC property; improving end of life care; patient transport; new Moorgreen NHS treatment centre; preventing cuts to tax credits. 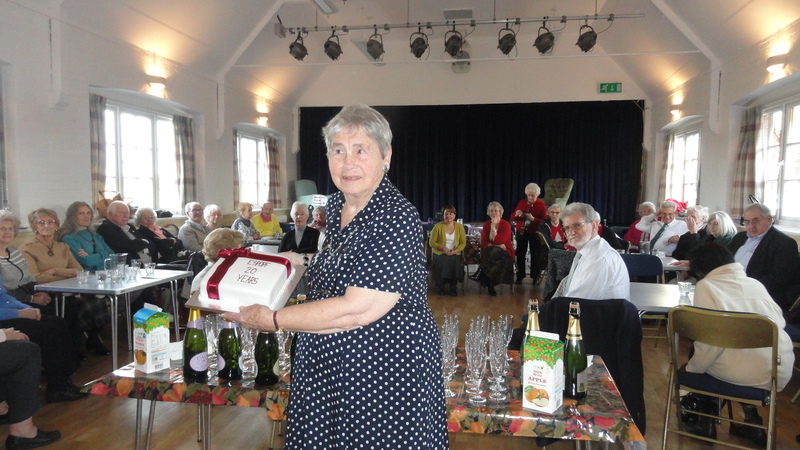 eg Bursledon Arts and Crafts Group, Hamble Culture Club, Hamble Valley U3A, Good Neighbour Groups. Please complete and return the "Help in Emergencies" Questionnaire. Thank you. See the update in the latest Newsletters. First Researchers’ meeting on Tuesday January 26 2016 10am Bursledon Hall. All Welcome. Click the picture to download the document. 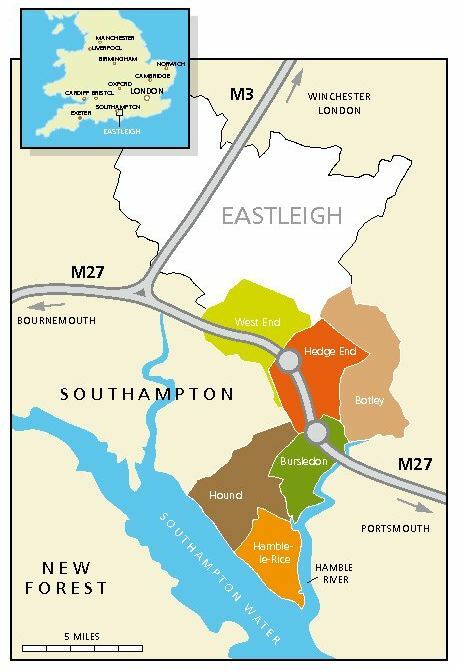 Members of ESPOPF have also been involved in producing the Bursledon Parish Plan. Click to download the Bursledon Parish Plan. Click to view the Bursledon Parish Council Page for the Bursledon Parish Plan. Click here to download the March 2016 newsletter. Click here to download the January 2016 newsletter..
Click here to download the November 2015 newsletter. Click here to download the September 2015 newsletter. 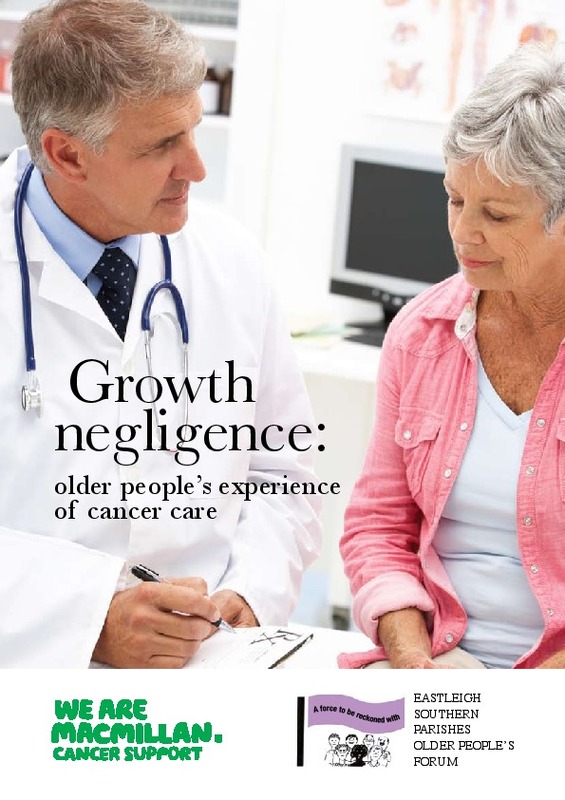 Click here to download the May 2015 newsletter. The agenda for this year's AGM. ESPOPF is committed to achieving quality of life for older people to enable them to live happily and independently until the end of their days.